Home / Andre Paras / Gabbi Garcia / GMA Network / Migo Adecer / Miguel Tanfelix / Pokemon / Pokemon GMA / Pokemon Philippines / Roi Vinzon / Ruru Madrid / Valeen Montenegro / GMA to produce Pokemon series? GMA to produce Pokemon series? This could just be another fan-initiated idea but the concept is really interesting. A Filipino version of Pokemon? Yes? 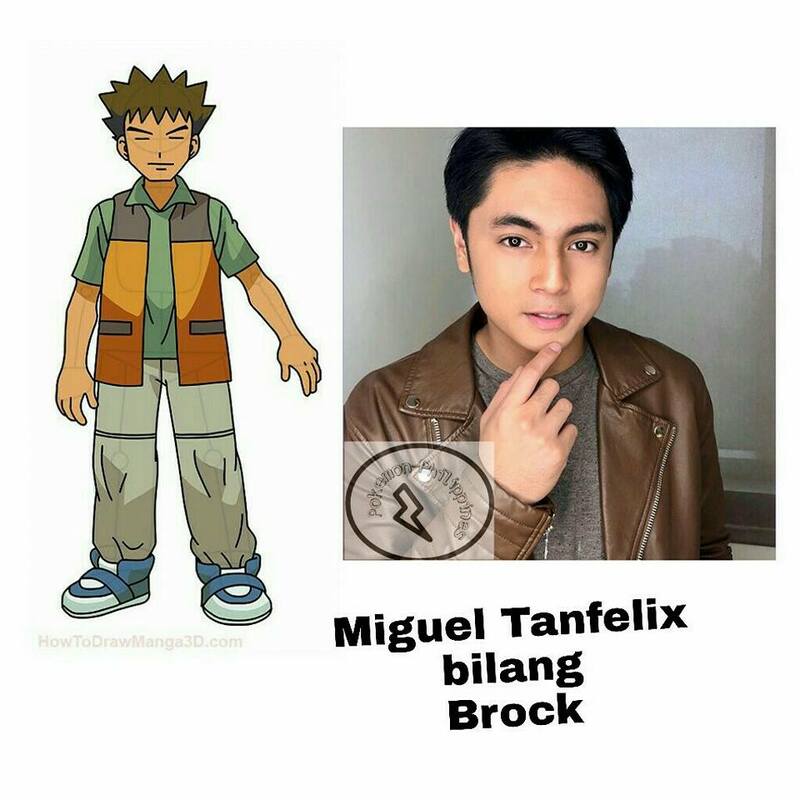 A teleserye version of the hit anime has been posted in a Facebook Page Pokemon-Philippines. It caught our attention not just because of the idea of having a Pinoy version of this widely followed anime series but also because of the Kapuso stars that the author picked for the iconic characters in the show. You would really know that the person behind this is a Kapuso because he was able to handpick the personalities that are all associated with GMA. Of course, Pokemon was first aired in the Philippines via the Kapuso Network back in 1999. It just makes sense if the Pinoy version of it will be produced by the same station who made it popular in the country. This aside from the part that GMA prides itself as the network that heavily invests in fantasy series such as Encantadia, Mulawin and their current series Victor Magtanggol. 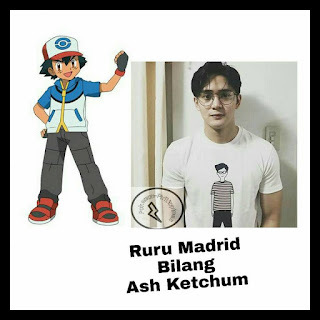 Let's give this a try and review the cast of the so-called local version of Pokemon starting with the lead character Ash Ketchum. Pokemon won't be the same without an Ash Ketchum. He embodied that persona of us wanting to become a Pokemon Master someday. This lead role is said to be perfect for young Kapuso actor Ruru Madrid. We think that Ruru could nail this character given the right materials. Ash's friend in the series and is the Gym Leader of Rock Type Pokemons is Brock. 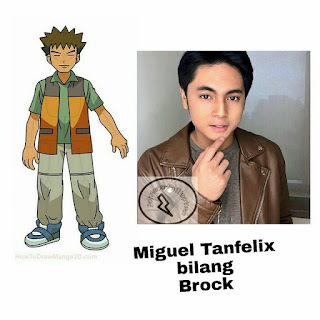 This role, according to the fan-made post, could be best played by Miguel Tanfelix. And we do agree that he's perfect for the role. Another friend of Ash and is the Gym Leader of Water Type Pokemons is Misty. Gabbi Garcia who rose to fame as Alena in the modern retelling of Encantadia was cast as Misty. 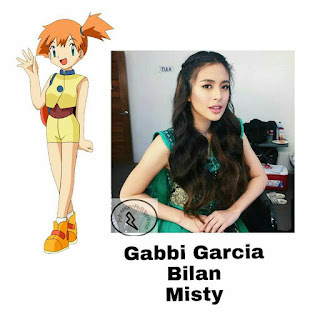 If she could cut her long hair to a short one, we could probably imagine her as Misty. Or perhaps they could consider getting another artist for this role? One of the antagonists of the series is Jessie and this character was pictured to fit the Bubble Gang and Sunday PinaSaya mainstay Valeen Montenegro. 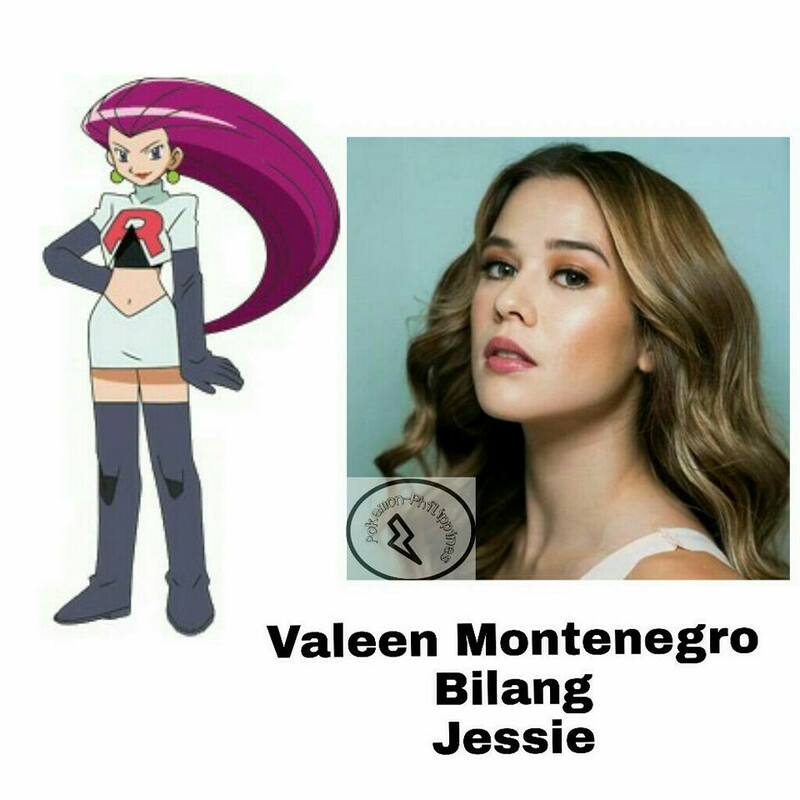 After playing a villain role in the primetime series My Korean Jagiyai, Valeen is perfect for this role, right? 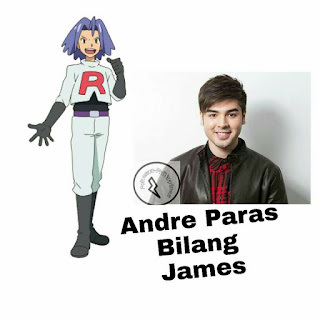 James, Jessie's partner-in-crime in the series, is Andre Paras. Because he's known for his funny personality, it's easy to imagine him doing all the crazy but evil acts with Valeen. Great combination. Other stars in the cast include Roi Vinzon as Giovanni, Carla Abellana as Delia Ketchum, Migo Adecer as Gary Oak, Heart Evangelista as Erika, Ivan Dorschner as Lt. Surge, Thea Tolentino as Sabrina, Ronaldo Valdez as Blaine, Pekto as Koga, Kate Valdez as Lorelei, Chanda Romero as Agatha, Rocco Nacino as Bruno, Martin Del Rosario as Lance and Freddie Webb as Professor Oak. We know that this is just for fun so don't take this seriously. Let us know your thoughts in the comments below.